RB Components Vinyl Strip Trailer Doors are a great way to let people and vehicles in and out of your trailer while still keeping the dust, dirt, noise and hot air out. 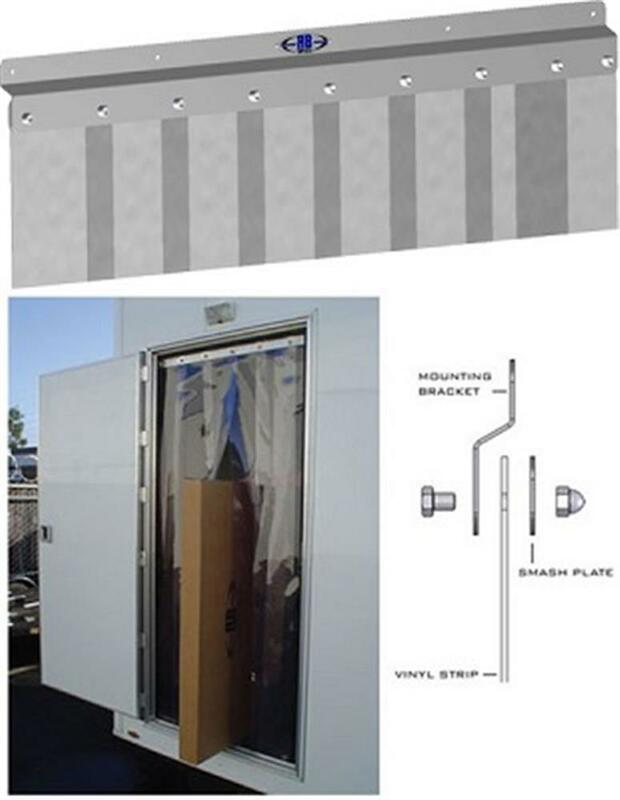 These vinyl strip doors can be used for a trailer or in a shop and are the perfect way to keep the traffic flowing and still maintain temperature control. Mounting brackets are pre-drilled to allow easy installation and are made from powder-coated aluminum.